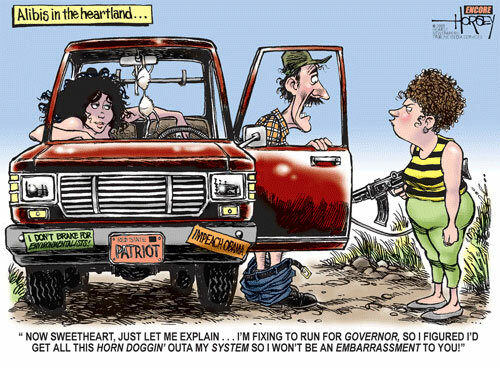 COLUMBIA, S.C. - After going AWOL for seven days, Gov. Mark Sanford admitted Wednesday that he'd secretly flown to Argentina to visit a woman with whom he'd been having an affair. 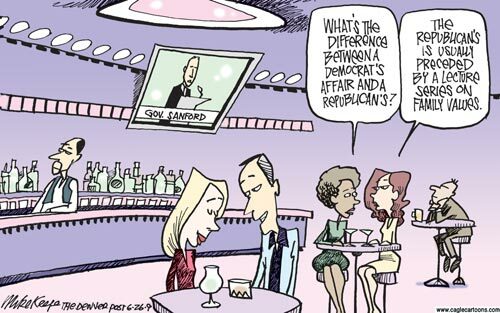 He apologized to his wife and four sons and said he will resign as head of the Republican Governors Association. 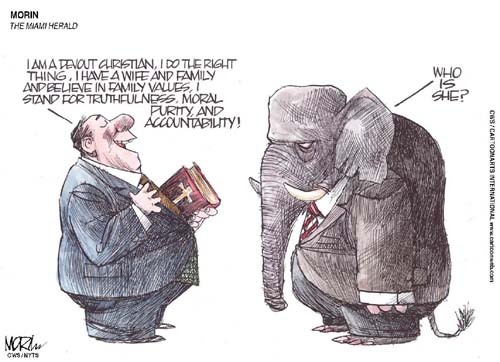 "I've let down a lot of people, that's the bottom line," the 49-year-old governor said at a news conference where he choked up as he ruminated with remarkable frankness on God's law, moral absolutes and following one's heart. His family did not attend. The woman, who lives in Argentina, has been a "dear, dear friend" for about eight years but, Sanford said, the relationship didn't become romantic until a little over a year ago. 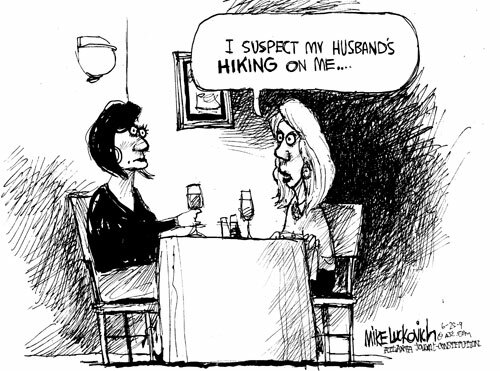 He's seen her three times since then, and his wife found out about it five months ago. He told reporters he spent "the last five days of my life crying in Argentina" and the affair is now over. 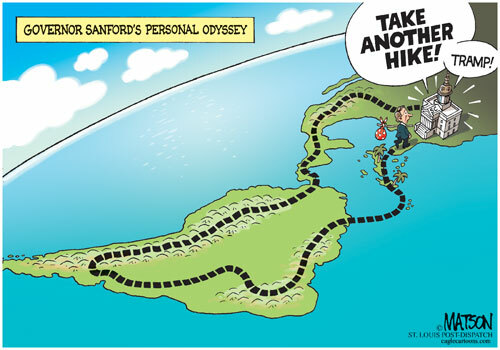 Sanford, a rumored 2012 presidential candidate, refused to say whether he'll leave office. "What I did was wrong. Period," he said. 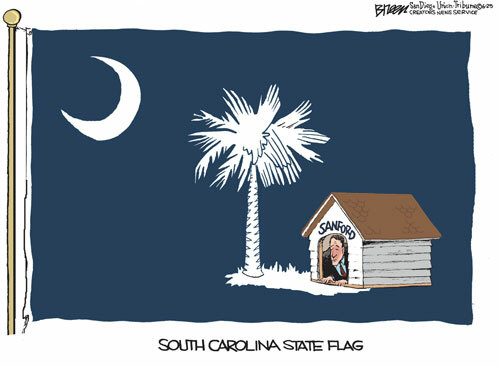 Questions about Sanford's whereabouts arose early this week. 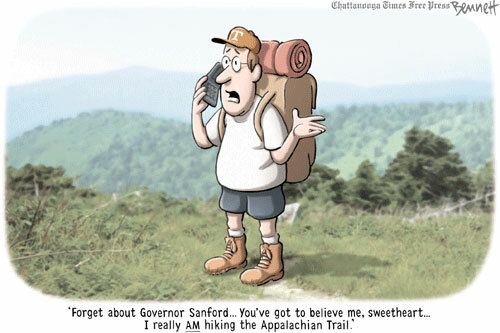 For two days after reporters started asking questions, his office had said he had gone hiking on the Appalachian Trial. 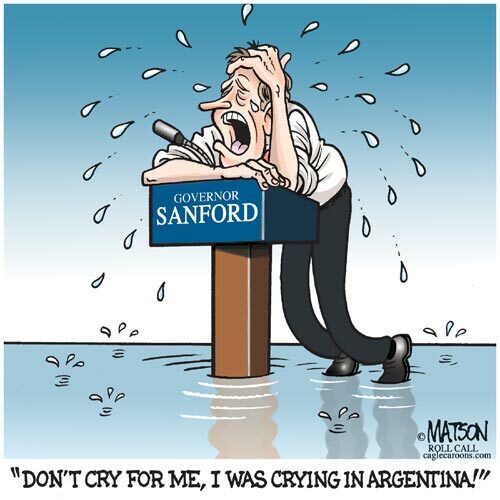 Cornered at the Atlanta airport by a reporter, Sanford revealed Wednesday morning that he'd gone to Argentina for a seven-day trip. When news first broke about his mysterious disappearance, first lady Jenny Sanford told The Associated Press she did not know where her husband had gone for the Father's Day weekend. 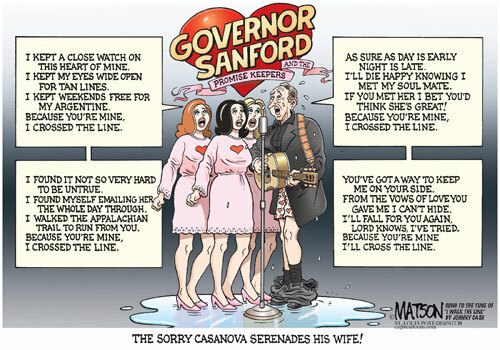 Sanford, first elected governor in 2002, has more than a year remaining in his second term and is barred by state law from running again. hi, 配上一个Madonna - Don't Cry For Me Argentina From the Musical "Evita"
I was just reading this literally a minute ago. 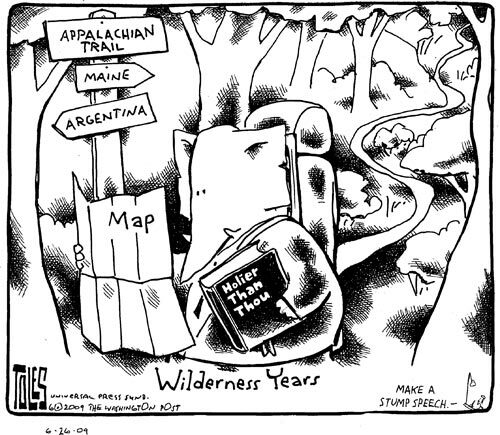 His staff should have said Andes instead. I have great sympathy for this guy. Looks like he fell in love, not just screwed around. Falling in love isn't so hard, actually it's as easy as breathing. The hard part is not to keep falling for a new favor every now and then. Yeah, still the media doesn't have to lynch him. I have to admit watching his press conference is excruciatingly painful. One can't but have empathy for him showing all the emotions and frailty of a human being. 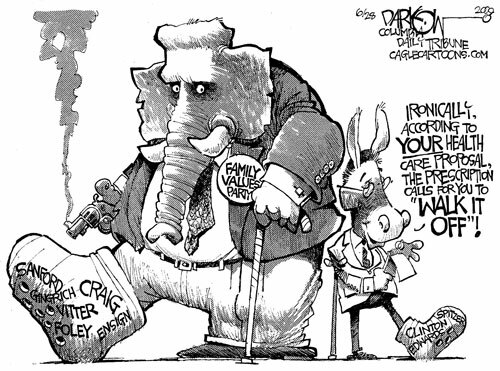 On the other hand, you can't really blame the media for having a field day of a story this juicy and sordid. 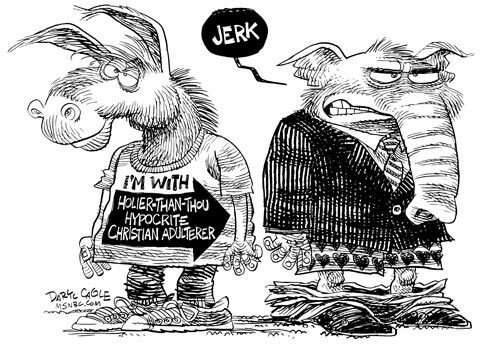 And best of all, the hypocrisy this guy showed in both Clinton impeachment and his fellow Republican senator's bathroom misadventure makes him the perfect foil for late night jokes and media scorn. Why? I don't know your answer but I know romantic love being the delusional pleasure two nuts relish thinking each other unigue, irreplaceable, meant for each other blah blah, but realistically and scientifically they are not. He definitely knows the consequence, he is desperate. 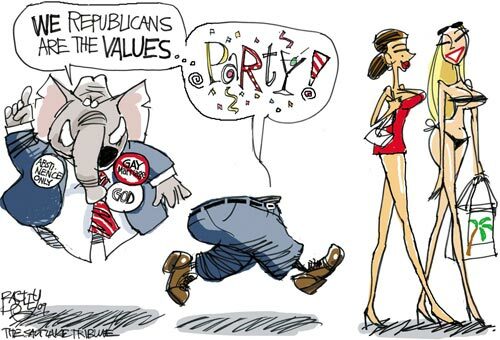 well, at least, there is one happy woman down the south. 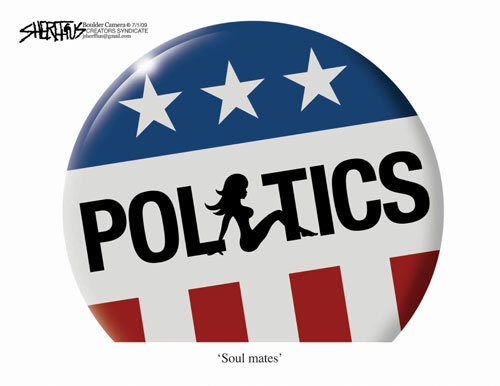 My impression is, the man is more passionate than the mistress in this relationship. 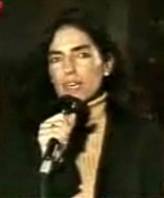 Argentine Maria Belen Chapur speaks during a C5N TV broadcast. Haha, I own the same mj. 现有界面. 又换了个password. 看来 passerby 是公用mj? 换回原名. 意外发现. 可不是存心恶做剧哈. 上回用此马甲是很久以前了, 说明是老问题. not 老瓦. Now you see my point. 请删去前面的帖. 谢! 给您添麻烦了, 梢蕊. 不折腾了, 白拜. 不是特意"冒名顶替", 不然为何注明. 只是为了说明存在的问题. 请跑丝提舞离看俺的因叹深. 请删去前面的帖. 谢! 给您添麻烦了, 梢蕊. 不折腾了, 白拜.